Jazz notes • Center could be in running for a spot on the team. Al Jefferson Steve Griffin | The Salt Lake Tribune Utah's Al Jefferson looks to pass during first half action in the Jazz Cleveland game at EnergySolutions Arena in Salt Lake City, Utah Tuesday, January 10, 2012. 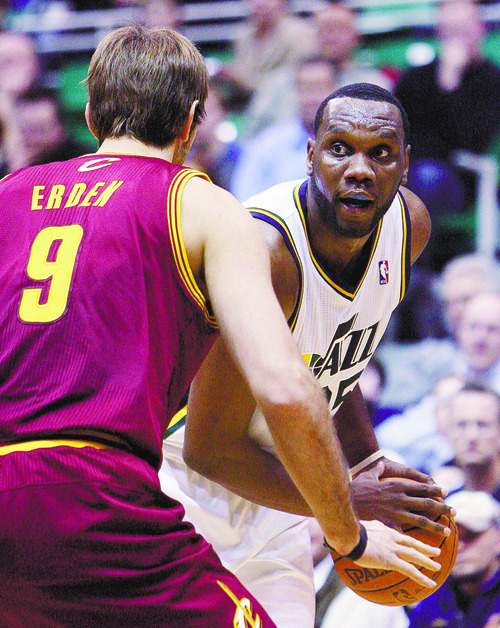 During the first few years of his career, Jazz center Al Jefferson used to dream about it. Maybe, one day, he would be selected as an NBA All-Star. Maybe he would be recognized  picked out of the pack and placed in the spotlight. Then the losses piled up. Losing seasons in Boston, lost years in Minnesota. He entered a game Tuesday against Cleveland ranked second among NBA centers in average scoring (18.1) and third in the combined statistic of points/rebounds/assists (27.9). Jefferson's defense has also improved: he ranked seventh in steals (1.1) and 11th in rebounds (8.4) and blocks (1.5). 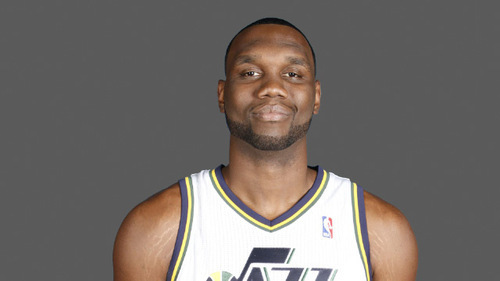 With Yao Ming retired and Deron Williams in New Jersey, Jefferson's easily Utah's most likely All-Star candidate. Being selected by fans for a starting spot is a stretch. But if the Jazz continue to take care of home court  nine of Utah's next 11 games are at EnergySolutions Arena  coaches could reward Jefferson. The 2012 All-Star team will be announced Feb. 2, timing in perfectly with the end of the Jazz's extended stay in Salt Lake City. "We'll see. You just have to play, man," Jazz coach Tyrone Corbin. "A lot of it is based off some stats and the way your team's doing. He's got my vote for a guy that would be deserving of it." When Jefferson was in his early 20s, even being mentioned as a candidate would have made his eyes shine. Tuesday, all he wanted to talk about was making sure his team returned to the playoffs. "At the end of the day if I do have a chance to make the All-Star team, it would be a blessing," said Jefferson, who recorded season- and game-highs in points (30) and rebounds (12) against the Cavaliers. "But I don't want to get my hopes up for it. … If it happens, good. If it don't, let's work on the team's success." Everything from Utah's defense to offensive passing showed improvement during the team's recent four-game winning streak. But the one area in which the Jazz were still struggling entering Tuesday's game was 3-point shooting. Utah ranked 28th out of 30 teams in percentage (26.5) and makes (3.8). Corbin wasn't concerned. The Jazz run an inside-out offense, and he believes Utah's been getting good looks from long range. "You live by the 3-pointer, you die by it, and I don't want to fall into a trap of searching for more 3-point shots," Corbin said. "We just want to make sure we take the right ones. … We'll make them in the long run."